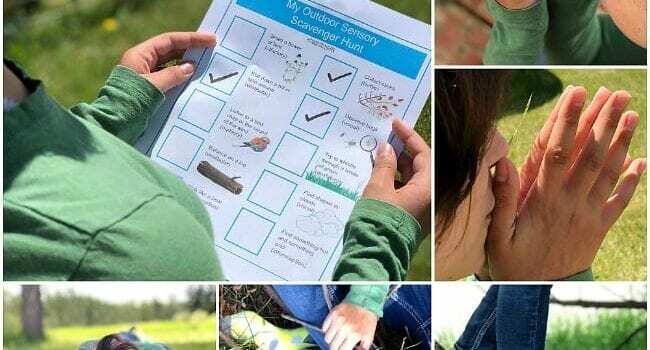 This outdoor sensory scavenger hunt is a great way to not only get kids outside and moving, but to also teach them about all 8 sensory systems. 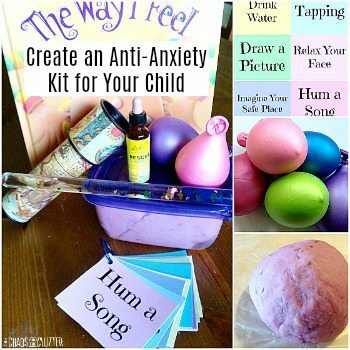 This activity is such a fun way for kids to get their ever important sensory input. 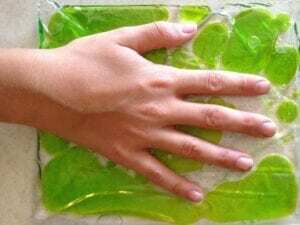 This is a great hands-on sensorimotor activity that encourages children to explore their senses and the world around them. Setting up this scavenger hunt couldn’t be simpler! 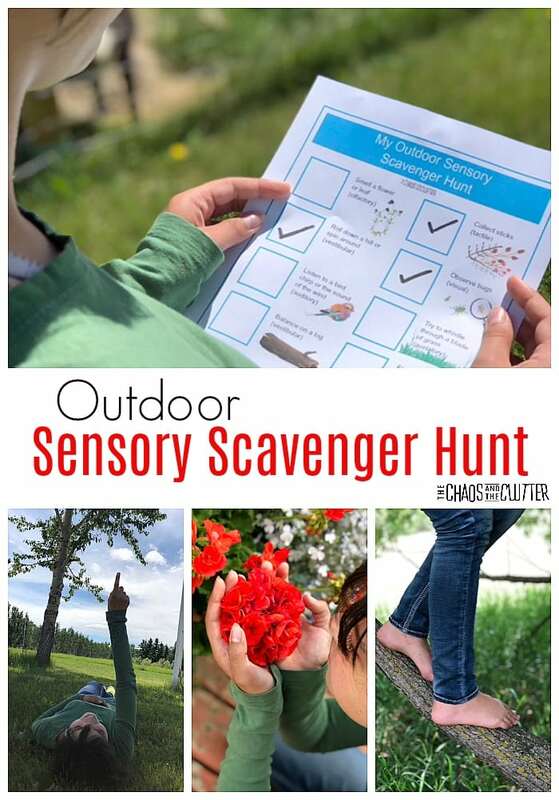 Print off the Sensory Scavenger Hunt checklist or create your own. Give each person a crayon or marker along with their sheet. Go outside and begin the scavenger hunt. This can be done in your backyard, a nature preserve, or park. All that’s needed is the paper, something to mark it with, and a child eager to explore. 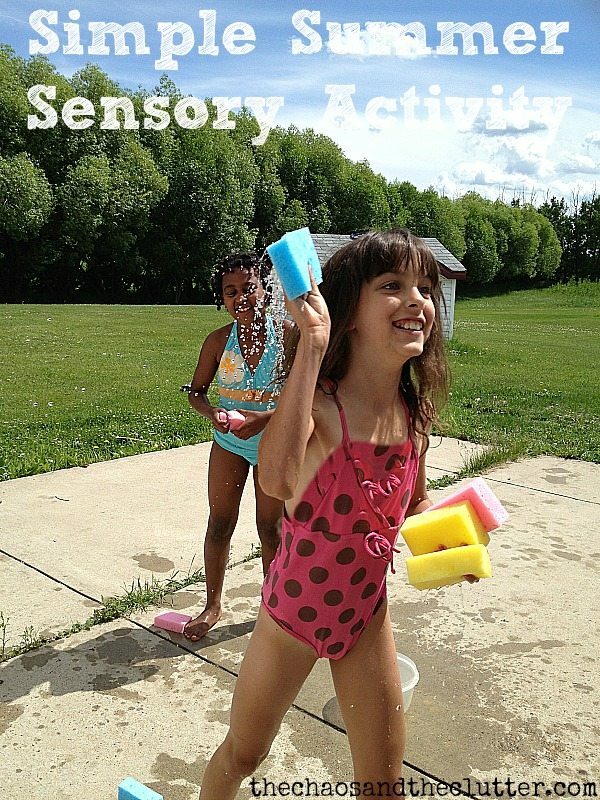 Use the activities on the checklist to teach or reinforce the different sensory systems. Each item lists the sensory system that it corresponds to. 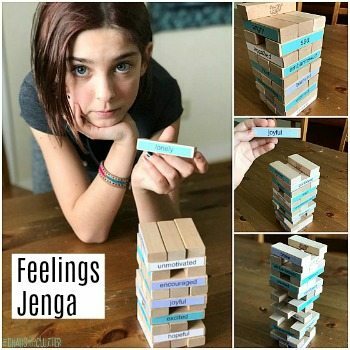 This is a great way to help kids learn the terminology. 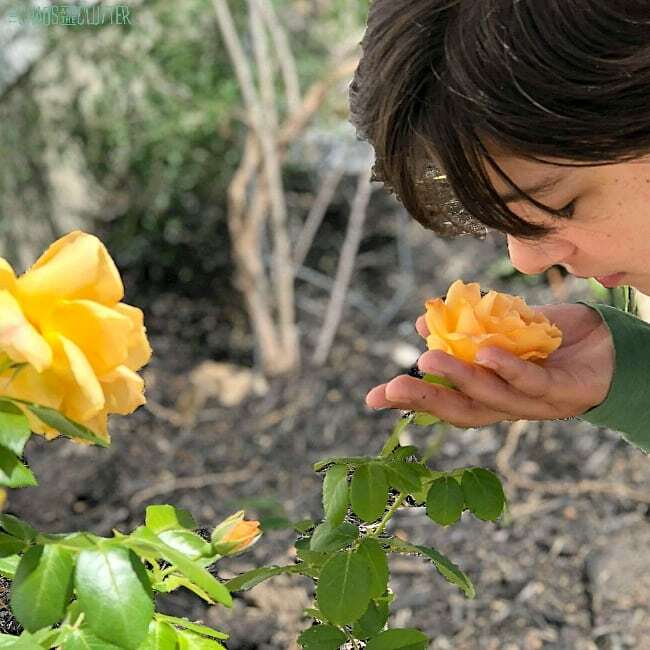 The scavenger hunt includes samples for the visual, auditory, olfactory, gustatory, tactile, vestibular, proprioception, and interoception senses. 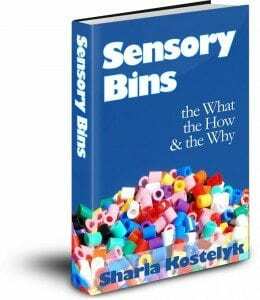 This is an excellent example of a hands-on way to reinforce the concepts of sensory processing that are taught in the My Sensory Self Workbook for Kids. 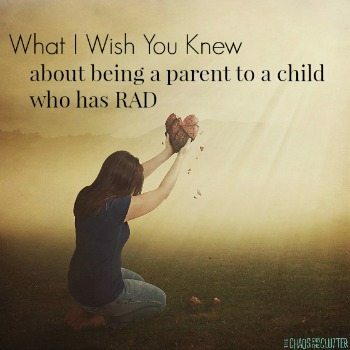 By allowing kids to actually do things representing each sensory system, it will make the concepts more concrete for them. My kids completely loved the sensory scavenger hunt. They appreciated that it went beyond the usual “finding” that goes on in a typical scavenger hunt. One of my daughters particularly liked the rolling and balancing activities while another preferred being still and finding shapes in the clouds. 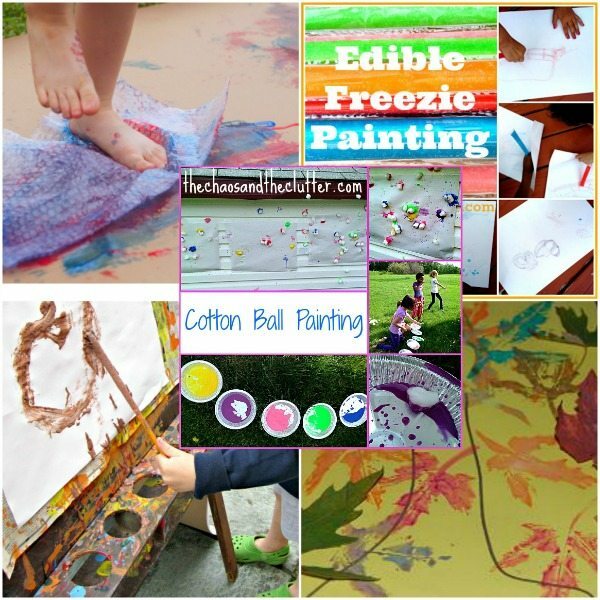 This activity is such a fun way to explore nature through your senses! Plus, it’s a great boredom buster. 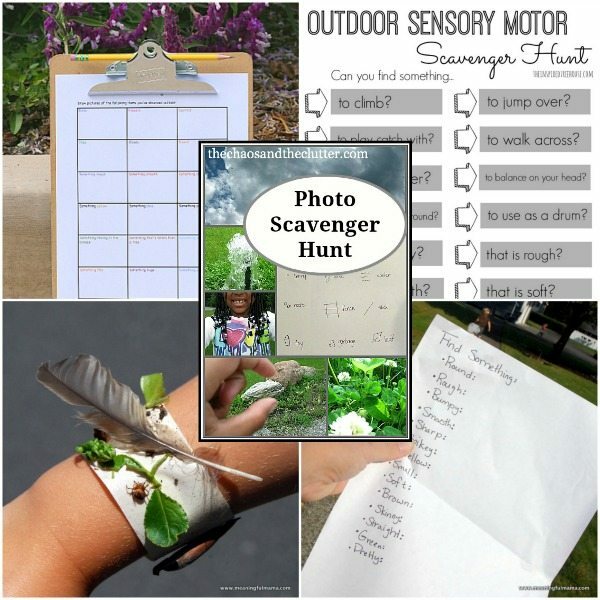 You can also create your own sensory scavenger hunt specific to your backyard or indoor space. 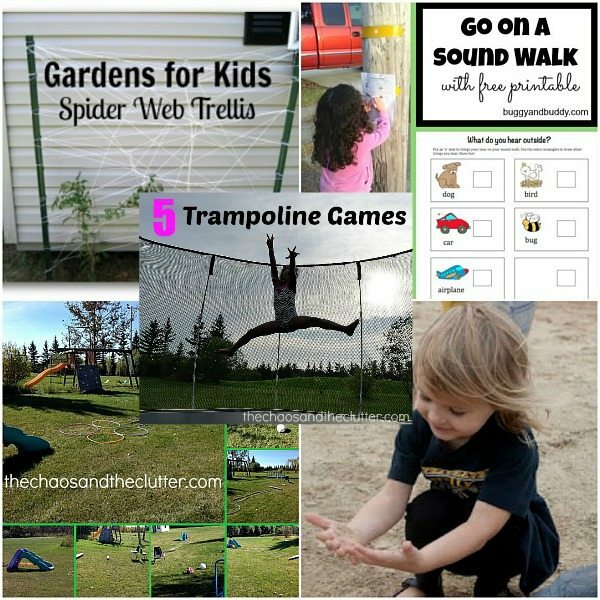 Kids can help design the scavenger hunts as well or help brainstorm additional ideas. 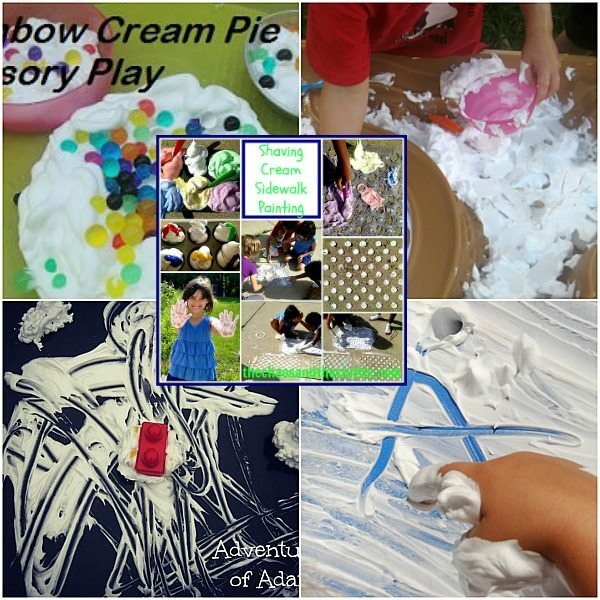 This gets great discussions going about all the different senses and how we can use them. 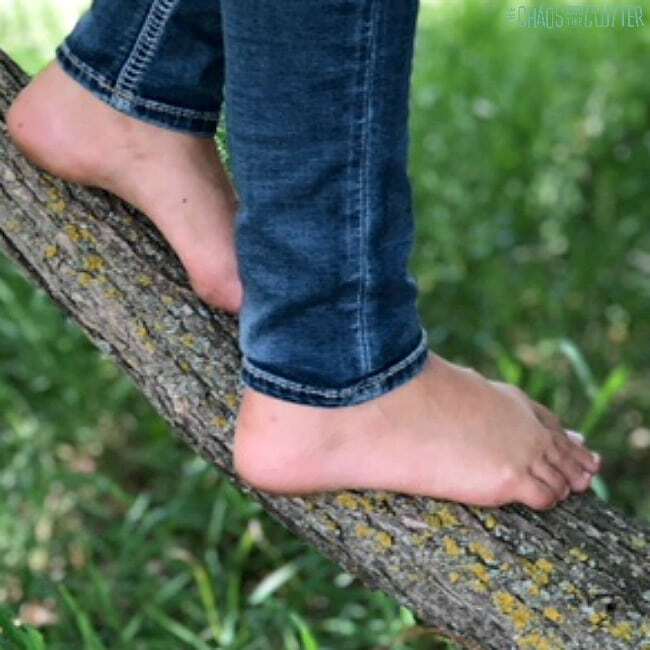 If your child finds rolling or balancing difficult, you can choose other vestibular tasks to replace those. 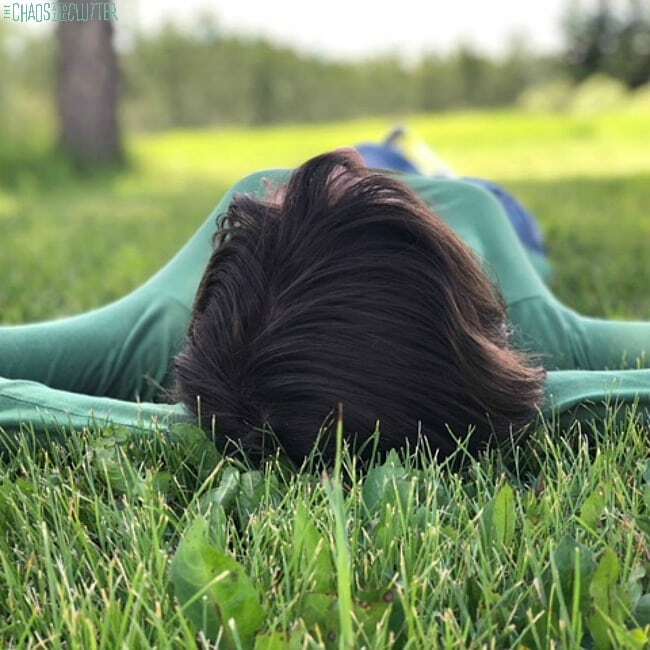 I also have one daughter who can’t stand the smell of flowers, so while her sister loved smelling ALL the flowers in our yard, I let her smell the grass instead. To get your free printable Sensory Scavenger Hunt, just enter your email address below. 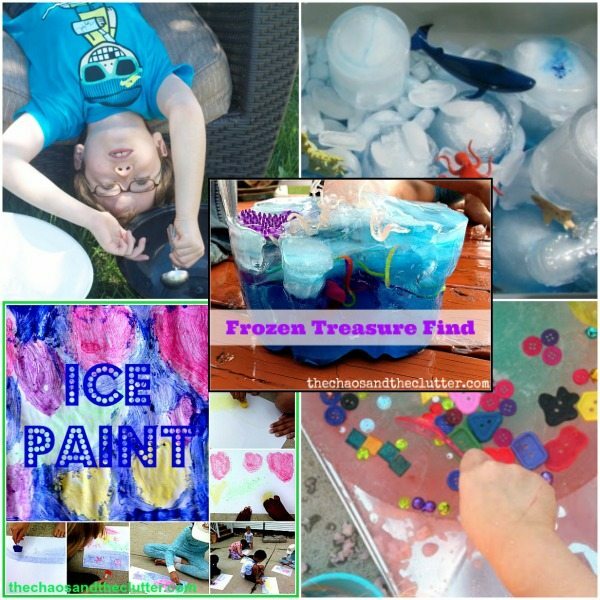 You can also combine this activity with creating a Nature Sensory Bottle or Nature Sensory Bin by collecting some of the items found along the way. 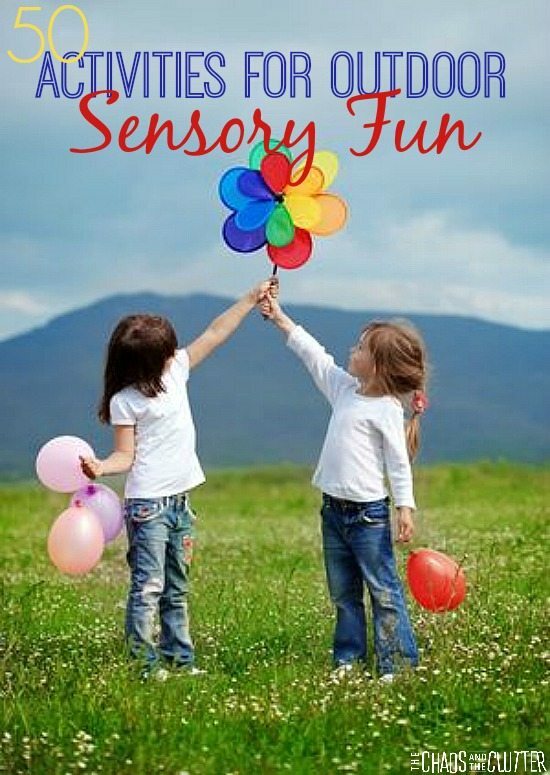 Just like that, you’ll have a double dose of sensory fun! 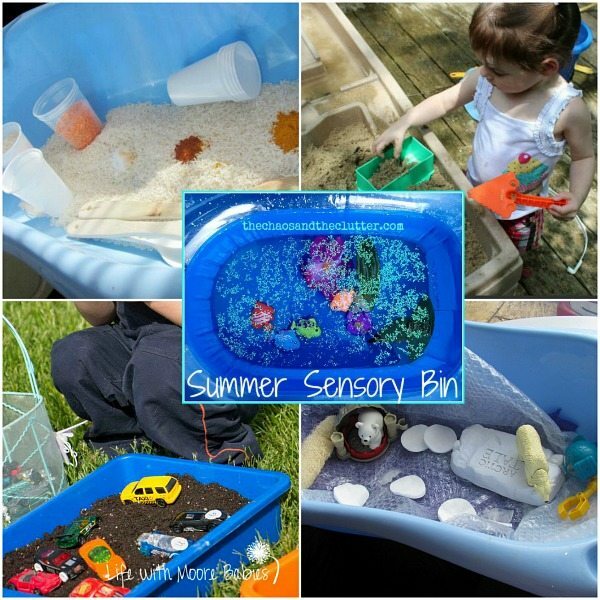 Summer offers a whole new range of sensory options as you can now move many activities outside and have easier cleanup and more room to move. 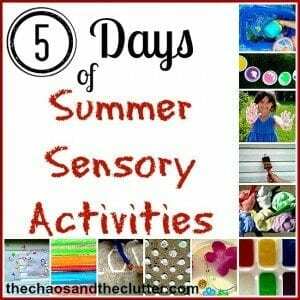 Last year, I ran a series on simple Summer Sensory Activities and I am finding that now that the weather is nice, we are doing more of our sensory “work” outside again. 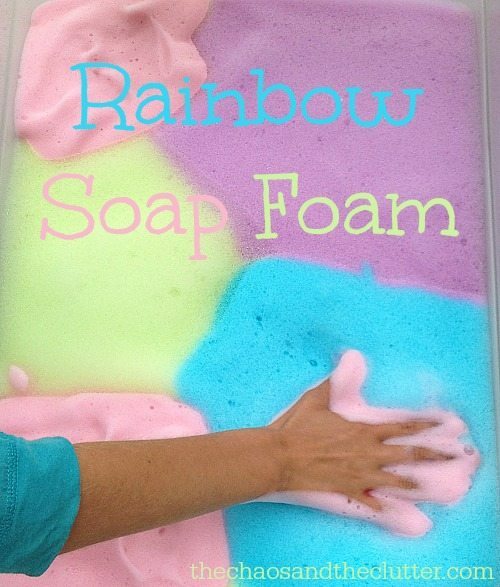 The kids had so much fun with this and they had no idea that they were actually doing really important sensory work! Setting this activity up could not be any simpler. All that is needed is a bucket full of water and some sponges. I bought two packs of six sponges each at the dollar store. For twelve sponges, I spent $2 and I am planning to turn them into two other sensory activities after this, so it was a very cost effective idea. 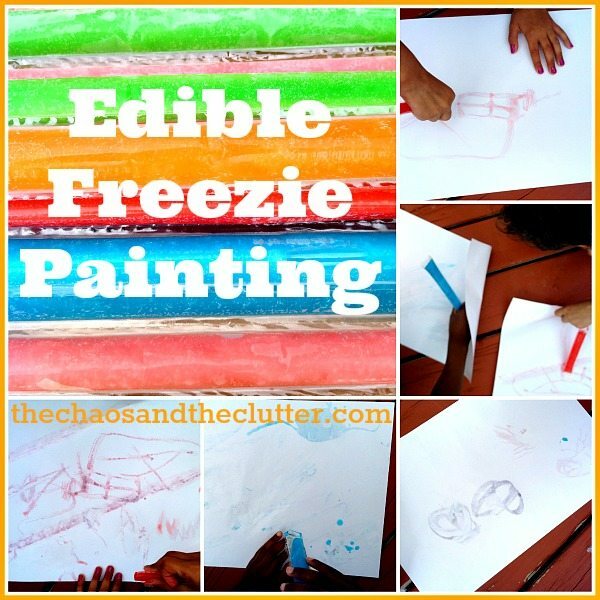 If you already have sponges around the house, this can be a free activity. Most kids love a good water fight, but there are two problems with a typical water fight at our house. One is that we live in the country and have to have our water trucked in so we can’t waste too much of it. The other is that in a water fight involving hoses or water guns, things tend to deteriorate quickly and an actual fight usually ensues. We had better luck with the sponges and I was clear to lay out the ground rules before they started. One of the ground rules was that mommy was not a target! The kids not only got the sensory feedback of the water and the sponges, they also got the feedback from wringing out the sponges, particularly overtop of their siblings’ heads!!! 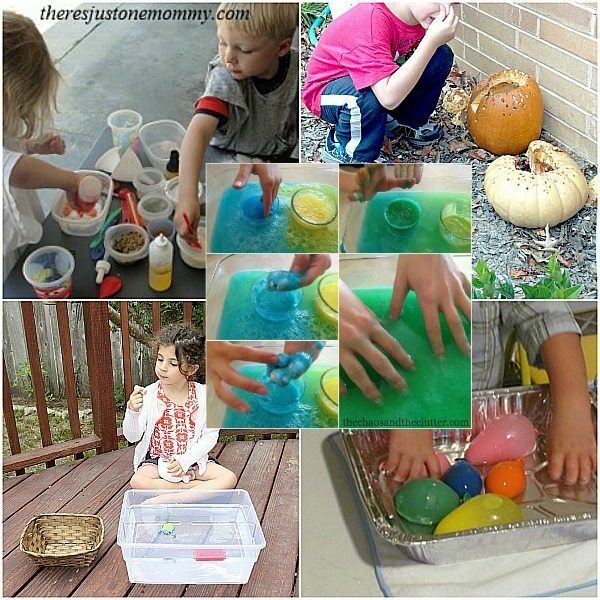 This easy activity can easily be turned into another sensory game using the same bucket of water and sponges. If the water fight disseminates into chaos or if the kids get bored, they can go over and wash your car or the side of the house. You can add soapy bubbles to the water for this if you want (don’t add the bubbles to the water fight portion of the activity lest someone get it in their eyes) and you’ve now created another simple summer sensory activity and possibly, created enough time for yourself to run and throw a load of laundry in the wash or read a few pages in a book! 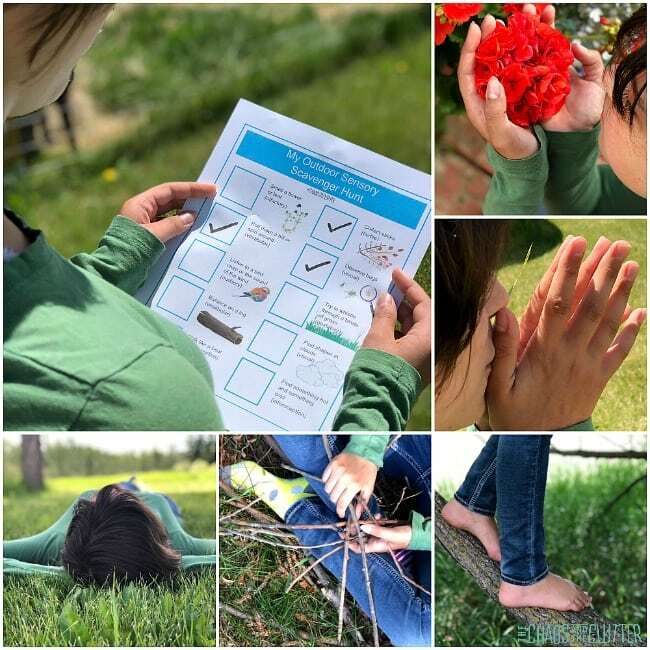 If you are looking for other easy activities to do with your kids this summer, you may be interested in joining me for a free 5 part email series Sensory Solutions and Activities and get your Sensory System Behaviours Easy Reference Cards. 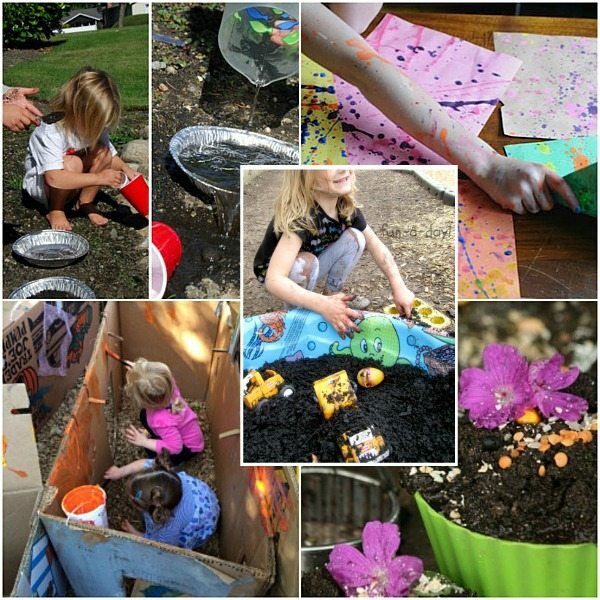 Bringing sensory activities outside works really well because the mess is easier to clean up, there is more room for gross motor movement, and the outdoors provides its own sensory feedback in the form of its natural sounds, sights, textures, and smells. 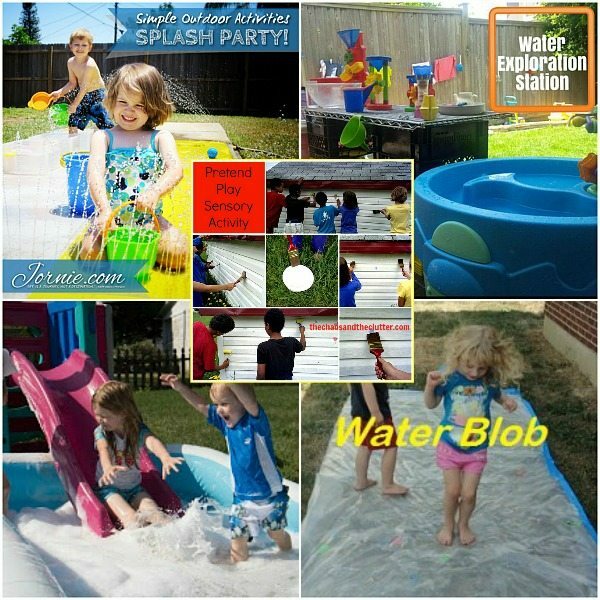 I hope that some of these ideas help you and your kids to have a sensational sensory summer!!! 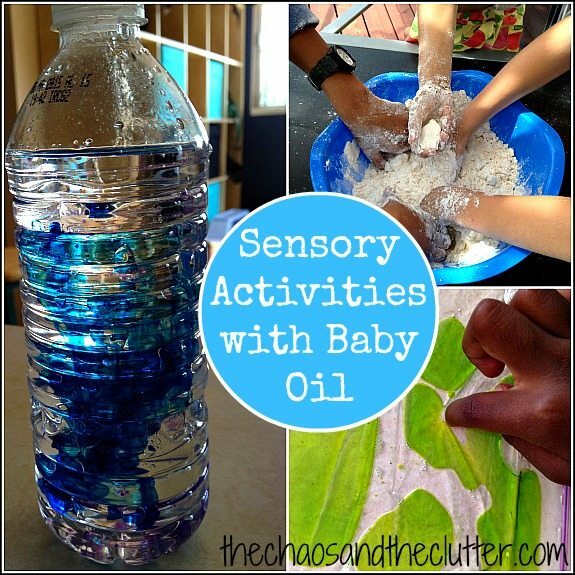 Baby oil has a scent that either you love or hate and I have some kids in each camp so some of them can’t get enough of these while others choose not to play with them because of the smell and I’m okay with that. 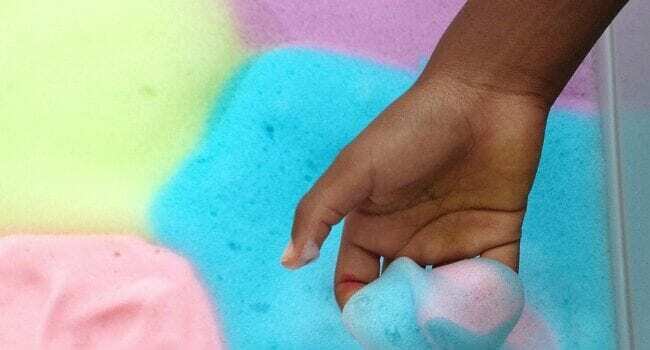 Moon dough is so easy to make and provides hours of fun. 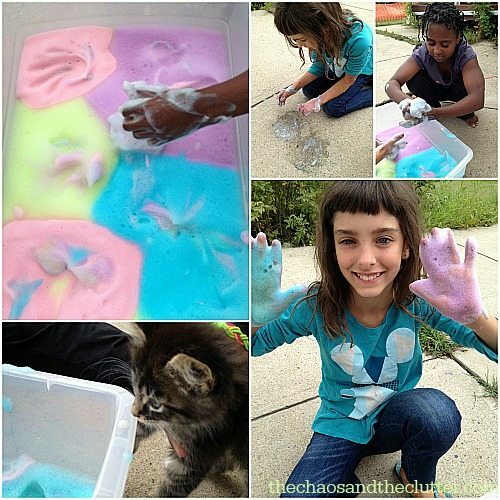 I recommend playing with it outside as it does tend to be a messy activity. The basic recipe of moon dough is 8 cups of flour mixed with 1 cup of baby oil. If you are making this for a younger child who may try to eat it, you can replace the baby oil with cooking oil. It will not have the scent but will be safer for younger children. 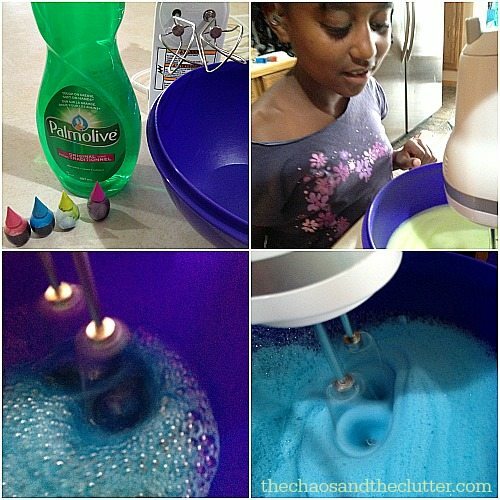 Sensory bags are just as easy to make as moon dough is. 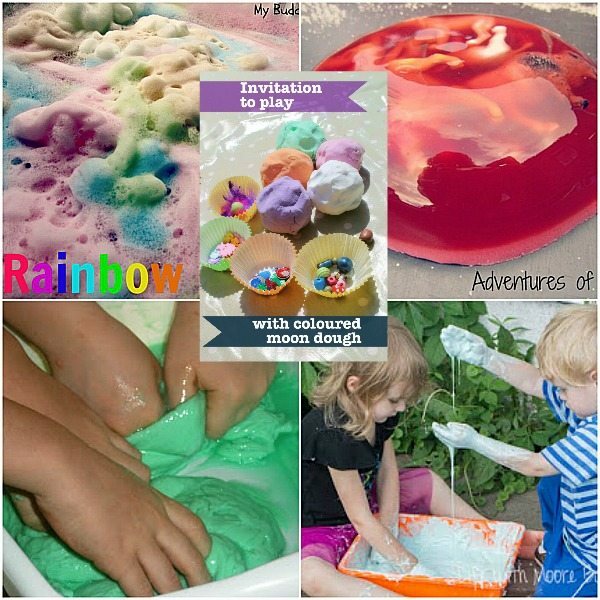 I put about equal amounts of water and baby oil in a sandwich bag and then added a few drops of food colouring. You could also add glitter to the bags. The kids really enjoyed squishing the bags and especially liked laying them flat and seeing the colour displace when touching the bag with their finger. 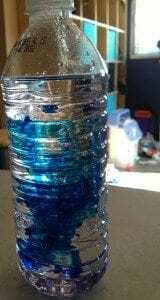 To make this one, I just added baby oil, water, glitter, and a few drops of food colouring to an empty water bottle.